Tokyo’s Tsukiji is the famous fish market. Some guidebooks recommend visiting early in the morning at around 5 a.m. to catch the tuna auction. Being the lazy glutton, I didn’t wake up that early. 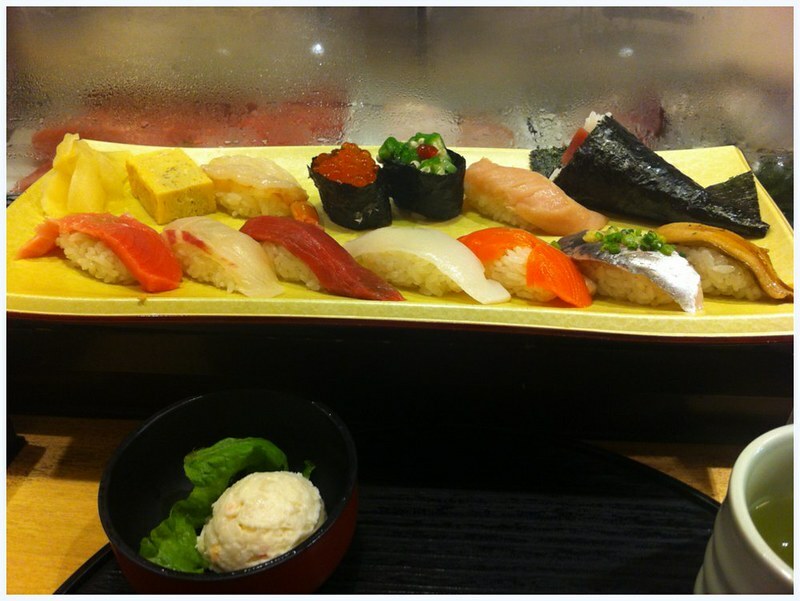 I did visit Tsukiji, but only for the sushi which was slightly disappointing. As I didn’t want to walk around with an open guidebook, I roamed the outer stalls of Tsukiji and missed the inner market. 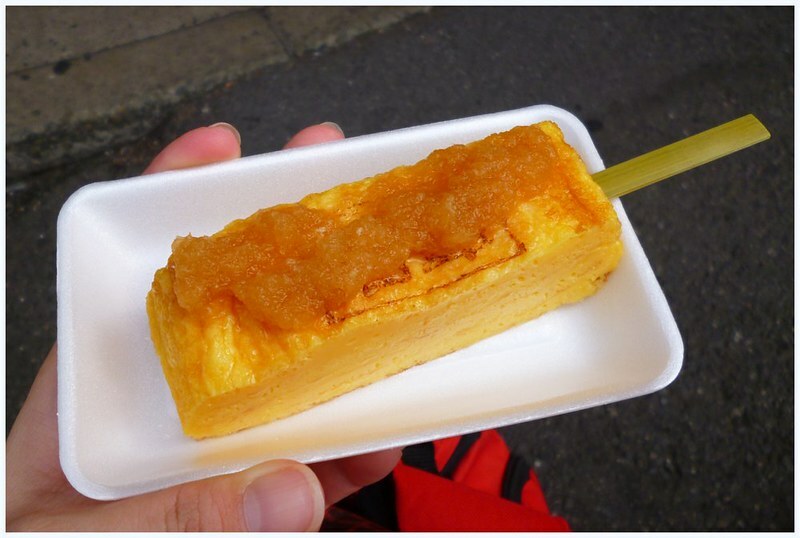 I broke my fast with a tamago-yaki, or grilled egg, on a stick from Yamanaga. 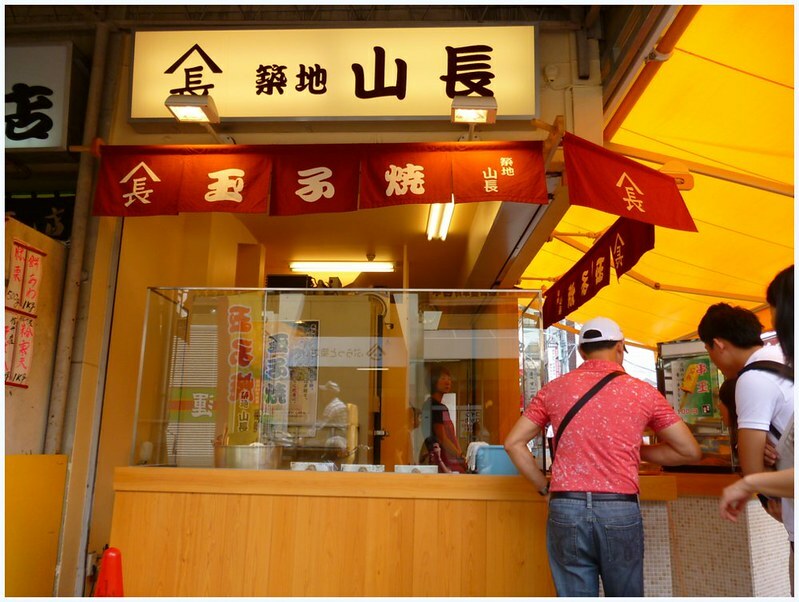 It wasn’t the most famous tamago-yaki stall in Tsukiji but the egg tasted yummy. I ordered the warm tamago-taki which came on a styrofoam plate. There was some shredded white radish with sauce which gave the sweet grilled eggs a balanced flavor. It is sacrilegious to visit Tsukuji without eating sushi. So after my tamago yaki, I went off to find my breakfast. 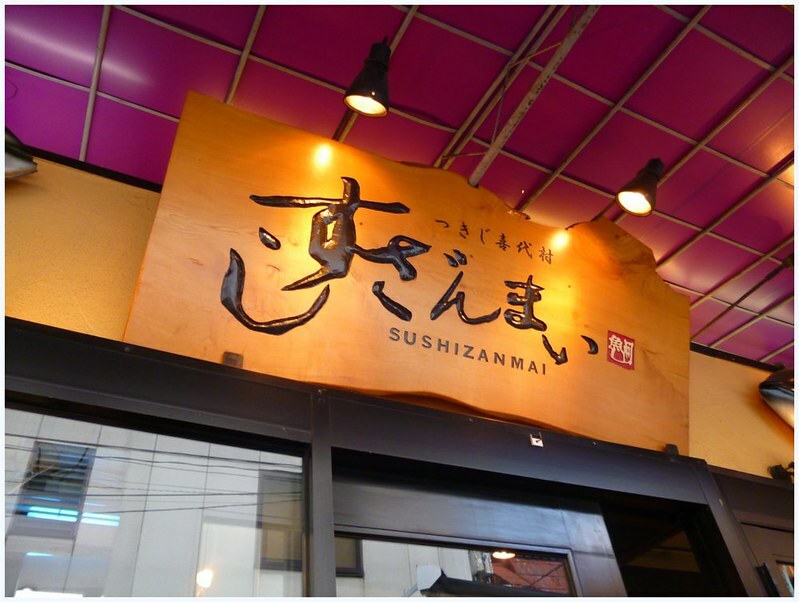 I stopped at the main chain of Sushizanmai. I had to wait outside before I was ushered into the restaurant before I was seated at the counter. I ordered a sushi set which was disappointing. I was not as yummy as I thought it would be. I suspect I ordered a lower quality set. From my side of the counter, I saw the chefs work. One took a fish out of the tank, sliced the flesh off its bones and served the slices on a plate. It was a bit horrifying watching the fish die in front of my eyes. But I forgot about it after I bit into my piece of onigiri. 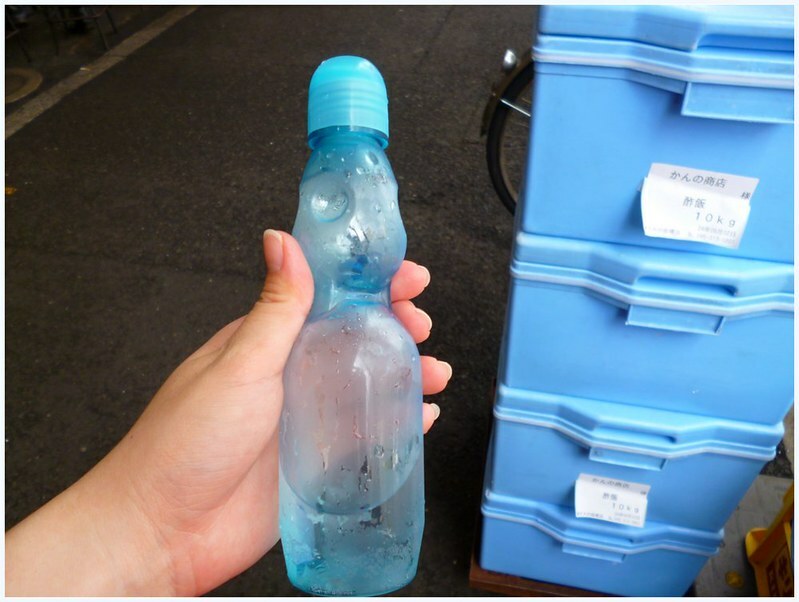 When I walked back to the train station, I passed by a stall selling drinks for 100 yen. I picked ramune which tasted like ice cream soda. At the top of the bottle, there is a frustrating marble rolling around which sometimes blocked my from enjoying the drink. I never figured out how to get the marble out. But some people have videos of how you can do it.